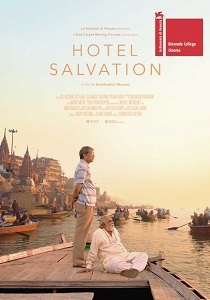 Review Summary: Mukti Bhawan (Hotel Salvation) is an important film with some great life affirming performances. Don't miss. Mukti Bhawan' is brilliant, funny, life affirming tale about death, which is supported by a superb script and a flawless cast. Watch it! Other than a few faultlines, this is a superb film that shows us how it is entirely possible to die, irradiated by life.